If you’re not creating and publishing video content on your website, now is a great time to consider doing so. According to Cisco, 80% of all internet traffic will be video content by 2021 accessed by an estimated 1.9 billion video internet users in that same year. If these predictions are correct, video content will become an even more crucial part of online marketing. It should also be mentioned that Youtube, owned by Google, is the second largest search engine on the internet with over 3 billion searches per month and at least 100 hours of video uploaded every minute. With all this in mind, the challenge is on for smart online business owners to find ways to harness the power of video content for their own sites. With the growth rate video content is experiencing, it’s time either embrace this trend in your marketing efforts or be left behind. The good news is that for WP users, incorporating video into your site couldn’t be easier. A good thing considering WP is the largest content management system (CMS) used on the internet. Out of the box, WP allows users to enter plain URLs for videos in its editor and it will embed the video into your posts. The URLs can’t be linked and each must be on its own line. It also provides a live preview. This embed method works so long as the video is uploaded to an approved video platform like Youtube, Vimeo, Instagram, Tumblr, and more. WP also gives you some basic configuration options for presenting videos on your site. But if you want to set up video galleries or present your videos with certain custom features, you’ll need plugins to provide the desired functionality. Here are four handy WP video plugins to use in your video marketing efforts. This powerful plugin is very affordably priced and offers a video addon that allows you to display videos from YouTube, Vimeo, Wistia and self-hosted videos for galleries on your site. Once your galleries are established you can stylize them in a variety of ways and thumbnails are automatically generated for you which saves time. It already has a good reputation among WP users as easy to use and feature-rich. They offer a convenient drag and drop builder, the ability to watermark your work, and templates for the galleries you create. This plugin not only plays well with social media it’s completely mobile-friendly so your galleries will work well and look great on all computers, laptops, and devices. 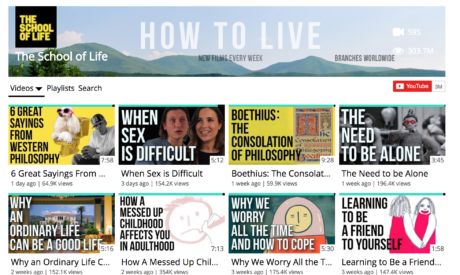 This plugin is ideal if you create and curate YouTube videos of your own. Enter your YouTube username and it will set up your channel’s videos on your site. In the free version, your YouTube profile picture, banner, and username are displayed along with total videos and views, playlists, and more. It’s presented ala carte so you can pick and choose the specific features you want. The visual builder is easy to use and provides shortcodes for easy embedding. Videos can be presented in a lightbox or inline and it provides 7 thumbnail options for you to choose from. There’s a caching system in place so your videos load fast. The premium version offers search options, commenting, customization, and volume options for even greater style and control. YourChannel is also mobile friendly so everything works and looks great on all computers, laptops, and devices. The best feature of this plugin is its simplicity. Residing on its own page on your WP site, this plugin automatically generates video pages for your videos when you enter the YouTube ID. You wouldn’t expect a wealth of features from such a simple plugin but there are many. In the free version, the specialized pages this plugin generates grabs the attention of your viewers. You’ll be able to configure your video content into gorgeous galleries or more practical grid galleries. It allows you to manage your videos from one central location, helps users find specific videos with grouping and tagging, and even allows you to display videos in your sidebars. The premium version offers more functionality by showing related video content, viewable statistics, and some really great customization features. Both versions are mobile-friendly. This is one flexible plugin for those who want to dynamically include video content on their website. Yottie Lite not only lets you easily place videos and galleries on your website, it offers a slew of customization options ensuring the galleries will blend well with your site. There are also a number of controls for a truly great user experience. Everything is responsive and retina ready — and this is all included in the free version. The great flexibility of this plugin makes it ideal for online shops, for those who do live streaming, and vloggers of all types. In the premium version, you get the ability to create custom playlists and to tailor your video content to your website seamlessly. With any plugin you use for your WP site, ensure that they are on wordpress.org as that means they are tested to make sure they work with the latest WP version. This also guarantees that the plugins are regularly updated for security purposes and free from malware and bad code. Test each plugin you consider for use thoroughly to see which works best for your individual site and video content. A professional appearance is a plus but the top priority is integrating your video content into your site in such a way that the videos load quickly and play well. Remember that most internet users today will leave a site that doesn’t load within 3 seconds. We hope this article helps you find the best plugins for your video content so you can take your website and your video marketing efforts to the next level. This article was written by Tristan Pelligrino is the co-founder of Motion Video, a national video production company focused on helping businesses reach their audience through video content. He started his career as an IT consultant working for large organizations like PricewaterhouseCoopers, IBM, and Oracle. After an early career in consulting, Tristan branched out to create a leading regional video production company and digital marketing firm, and he is now focused on spearheading the growth of Motion Video.